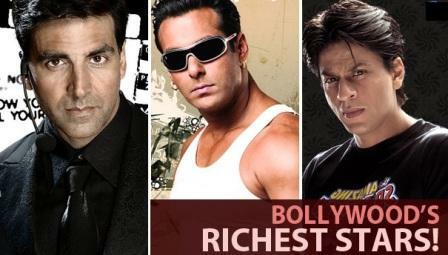 Like every year, the much awaited Forbes' list of highest paid actors in the world is out now, and the good news is that three Bollywood actors - Shah Rukh Khan, Salman Khan and Akshay Kumar - are in the list of top 10 highest paid actors. While Shah Rukh Khan is at number eight, followed by Salman Khan and Akshay Kumar at number nine and ten, respectively. According to Forbes, the 'Raees' star earned $38 million (Rs 243.50 cr), the 'Tubelight' star made $37 million (Rs 237 cr) and the 'Rustom' star took home $35.5 million (Rs 227.5 cr).